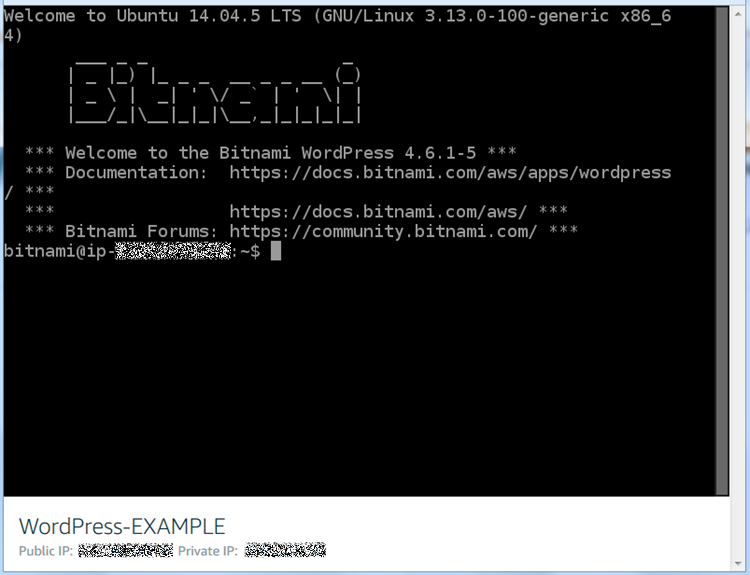 You can create a Linux/Unix-based Lightsail instance (a virtual private server) running an application like WordPress or a development stack like LAMP in seconds. 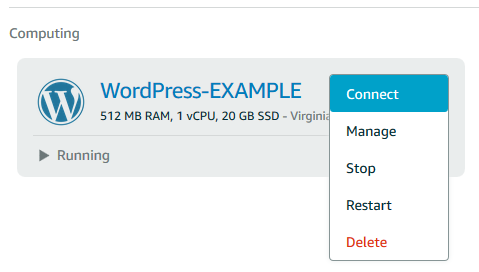 After your instance starts running, you can connect to it via SSH without leaving Lightsail. Here's how. To create a Windows-based instance, see Get started with Windows-based instances in Amazon Lightsail. On the home page, choose Create instance. Select a location for your instance (an AWS Region and Availability Zone). Choose Change Region and zone to create your instance in another location. Optionally, you can change the Availability Zone. Choose an Availability Zone from the dropdown list. Pick an application (Apps + OS) or an operating system (OS Only). To learn more about Lightsail instance images, see Choose an Amazon Lightsail instance image. You can try the $3.50 USD Lightsail plan free for one month (up to 750 hours). We'll credit one free month to your account. Learn more on our Lightsail pricing page. Enter a unique name for your instance. Add key-only tags or Edit key-only tags (if tags have already been added). Enter your new tag into the tag key text box, and press Enter. Choose Save when you’re done entering your tags, or choose Cancel to not add them. Create a key-value tag, then enter a key into the Key text box, and a value into the Value text box. Choose Save when you’re done entering the tag, or choose Cancel to not add the tag. Key-value tags can only be added one at a time. To add more than one key-value tag, repeat the previous steps. For more information about key-only and key-value tags, see Tags in Amazon Lightsail. For advanced creation options, see Use a launch script to configure your Amazon Lightsail instance when it starts up or Set up SSH for your Linux/Unix-based Lightsail instances. Within minutes, your Lightsail instance is ready and you can connect to it via SSH, without leaving Lightsail! On the Lightsail home page, choose the menu on the right of your instance's name, and then choose Connect. Alternately, you can open your instance management page and choose the Connect tab. To connect to your instance using an SSH client such as PuTTy, you can follow this procedure: Set up PuTTy to connect to your Lightsail instance. Now you can type commands into the terminal and manage your Lightsail instance without setting up an SSH client. Get started with WordPress if you're connecting your blog.